Adult onset asthma is a chronic lung disease in older individuals that starts in their 20’s. It is caused by an overreaction of the immune system to certain allergens. The lung airway swells and interrupt normal breathing. Adult onset asthma can be a scary disease to deal as individuals get older. New asthma symptoms can interrupt breathing and even stop some people from performing normal daily activities. Knowledge of treatment options and having strategies in place will lead to effective asthma control. With the right plan of action, you can prevent symptoms if you know how to treat and prevent episodes. Adult onset asthma is a chronic respiratory disease that affects many individuals in their older years. The exact cause of either childhood or adult onset asthma is not known but there are certain factors which have been identified as triggers. The main difference is childhood asthma is very inconsistent and more frequently triggered by a viral infection or cold. 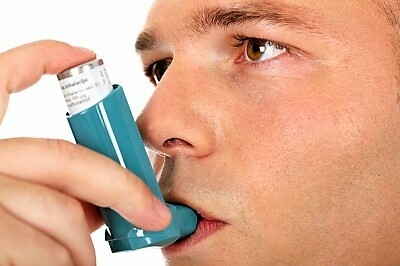 Overall asthma is a chronic condition that involves the swelling of the lungs after exposure to an allergen or trigger. It is a combination of environmental and genetic factors. A child’s respiratory is still developing and influenced by external factors. Contributing factors include the weather, activities, what you have eaten and your emotional status. Thankfully, the symptoms can subside as time goes by. The symptoms of adult-onset asthma are more persistent and must be manage on a daily basis. By the time that you are older, your immune symptom is more mature and sensitive to allergens. A prognosis of adult-diagnosed asthma is very good, providing you are willing to learn. You will need to know your symptoms, how to use your inhalers properly and how best to manage the condition for the long term. Read up as much about the illness as possible to inform yourself, as it is always better to be safe than sorry. Adult onset asthma, which occurs after the age of 20, is not a well-known problem. It is a condition which is generally associated with childhood. It can occur either in someone with no prior symptoms or who experienced the condition as a child. Either way, it can be properly managed with the right treatment plan. But there are other diseases that can have some of these symptoms. You will have to visit a doctor to make certain that you have this illness. Only a well-trained medical professional can give an asthma diagnosis. Triggers are different for every person. But they can be determined with the help of a qualified doctor. Medications have a part to play in the treatment of asthma. There are several types available and it can take time and experimentation to determine the right combination and dosage. You will need to watch the severity of the symptoms to determine if the medication is working. Triggers are different for every person. Exposure to certain substances will exacerbate an attack. Do you only show symptoms after being in a certain area or around some pets? Are there are a number of allergens that can bring on an asthma attack? 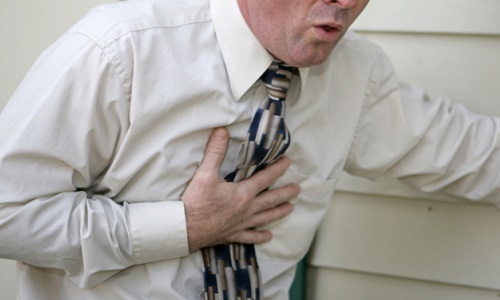 The following can make certain individuals develop breathing problems as they get older. Tobacco smoke, while not a known cause, can bring upon the problem and adults who smoke are urged to give it up. Exposure to second hand smoke is also a risk. 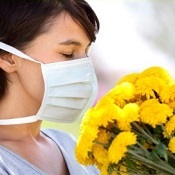 Dust, pollution and allergens are also common triggers. Unfortunately, there is little that can be done about air pollution if the sufferer is unfortunate to live in an area in which this is an issue. 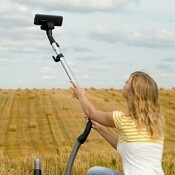 But a home can be made safer by regular vacuuming and cleaning of carpets, mattresses and upholstery. Occupational hazards that come with certain jobs, such as carpentry, can be dangerous. Since the sufferer is exposed to high amounts of dust and chemicals, they can trigger one or more symptoms. Illness, particularly colds and flu, can initiate adult-onset asthma and trigger attacks. Annual influenza vaccinations are recommended for asthma sufferers to prevent future episodes. Intensive exercise, particularly outdoor activities such as long distance cycling and skiing which cause the lungs to ingest a lot of cold air. Allergic foods. Certain foods and medications can stimulate a response in some people. Nuts or additives in food are a common cause of asthma attacks, as are beta blockers, aspirin and some pain medications. They can be determined with the help of a qualified doctor. So it is vital to seek medical advice if the symptoms are persistent and unusual. Once you determine what you are allergic to, it is important avoid anything that triggers your attacks. Whether it is caused by genetics or environment, this condition in the later years can be troublesome. 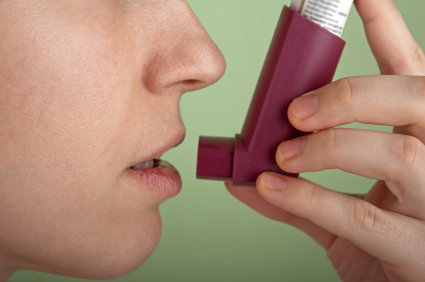 The symptoms of adult onset asthma include wheezing, coughing, and shortness of breath. But these symptoms must start after the age of twenty. Otherwise they are part of childhood asthma. Sometimes it can be mistaken for other problems affecting the lungs, such as bronchitis or emphysema. But there is a difference. You can read about the difference between bronchitis and asthma here. Diagnosing this disease can be difficult to do and your doctor may ask a variety of questions and perform tests to determine if you have this affliction. An asthma test is necessary because some of the symptoms can mimic other health problems. Identical symptoms can appear with bronchitis and pneumonia. Your doctor’s questions will determine when symptoms might appear. If your answers to the questions indicate a propensity for this breathing difficulty, your doctor will order other tests to provide a clear diagnosis of the condition. If it is necessary, your doctor may prescribe a spirometer. This will measure the amount of air you can expel after taking a deep breath and how quickly you can expel it. A peak flow test shows how hard you are able to breathe out. How you respond will give information on how to treat you. These are known as lung function tests. The results will reveal the condition and what category of intensity you fall into. During this test, an asthma medication such as albuterol will be given. 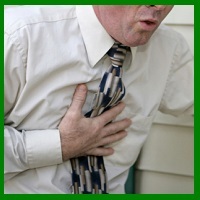 If you are able to breathe, it is able to relieve your symptoms. Since there is an increase in lung function, it is highly suspect that asthma is the culprit. A peak flow test shows how hard you are able to breathe out. How you respond will give information on how to treat you. Based on your signs and symptoms, your asthma can be put in one of four categories: intermittent, mild persistence, moderate persistence, or severe difficulty. Intermittent - episodes occurring only one or twice a month. Mild persistence is noted in patients who have symptoms more than twice a week but never more often than once each day. Moderate persistence are those who have breathing difficulty every day and often once at night. Severe difficulty is classified as having symptoms on and off throughout the day with frequent bouts during the night. With the right tests and procedures, your doctor can determine if you have adult onset asthma. While this disease may seem worrisome, it is treatable with a management plan and you can have a healthy lifestyle. If you suspect that you have adult onset asthma or any other breathing problem, then go to your physician for an evaluation. After a medical history and thorough physical, your doctor will run several tests to evaluate the condition of your lungs. These lung tests are necessary for your physician to give a proper diagnosis. There are two major categories of medications: those which are used on a daily basis and have a long term effect and those which are used if a sudden attack occurs. •	Anti-inflammatories Anti-inflammatory medications decrease the swelling and constriction in the airways. Since these medications are taken daily, they tend to prevent symptoms. •	Bronchodilators: These medications relax the muscles in the airways of the lungs. During an asthma attack, they open the airways and resume normal breathing. Read this for a full explanation of asthma medications and what they do. Based on your history and the severity of asthma, your doctor will develop a care plan called an asthma action plan. This type of plan shows you what to do if your asthma symptoms should get worse. The asthma action plan describes when and how to use medications, actions to take if the asthma symptoms worsens, and when to seek emergency care. As a safety precaution, this information should be shared with all members of your family. Treatment for adult onset asthma is decided after a consultation with a medical professional and is an ongoing process. This is the point where you should be involved. This is not an illness that can be cured. But it can be managed. 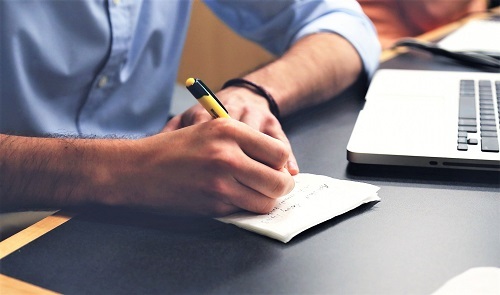 The general consensus is that with routine visits to the doctor's office, the use of peak meters and keeping a journal can be a big plus in keeping your wheezing under control. At-home tools include peak flow meters, journals, and metered-dose inhaler monitoring devices. Adult onset asthma requires close management. It is important to self-monitor your own condition to find your symptoms, your triggers, and treatments that provide relief. Proper use of asthma medication and asthma action plan is the centerpiece of controlling symptoms. Research shows that self-monitoring really helps asthma patients. Many clinicians feel that through proper education and self–monitoring, the dangerous symptoms of asthma can be controlled. By avoiding triggers, daily monitoring, and good medical supervision, you can have little to no symptoms. With the right approach, it can be controlled to the point where is has little impact on quality of life. Although the most common symptoms are wheezing, coughing, shortness of breath, the severity of the symptoms is different for many people. It is important to self-monitor your own condition to find your own symptoms, your triggers, and treatments that provide relief. You should always be prepared for an attack. It is important that anyone who suffers from asthma attacks always have an asthma action plan. It lists the right medications and contact numbers to have at home, work, or school. Knowing what your triggers are can help you remove the offending allergens from your life as much as possible, making it easier for you to breathe. Symptoms can get worse in minutes and medical help may not be close. A peak meter is an important part of self-monitoring at home. 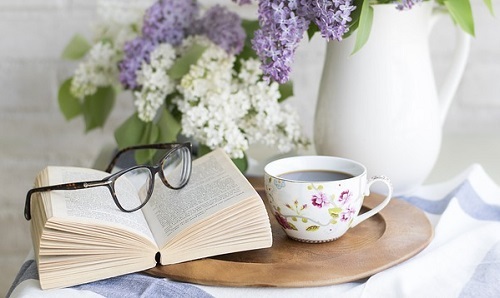 Every day readings should be taken to determine how well the lungs are functioning. The result is placed into one of three zones, green, yellow or red. You can find at peak flow meters that can monitor and store hundreds of data here ... They not only keeps the data not only for you but can send it to your physician for evaluation. Each person’s symptoms are different so you should use a peak flow to monitor the condition of your lungs. Doctors who recommend monitoring at home are asking their patients to check their peak flow one or two times a day, at the same time each day. The right flow meter can tell you when your lungs are not functioning properly even before you feel it. Sometimes you can feel the wheeze and sometimes it sneaks up on you. Either way, be prepared with a rescue inhaler. It’s a lifesaver. The Microlife Peak Flow Meter is a great tool for managing adult asthma at home. Unlike traditional mechanical meters, this digital meter can measure FEV1 (forced expiratory volume) which is a more reliable indicator of an impending asthma attack. 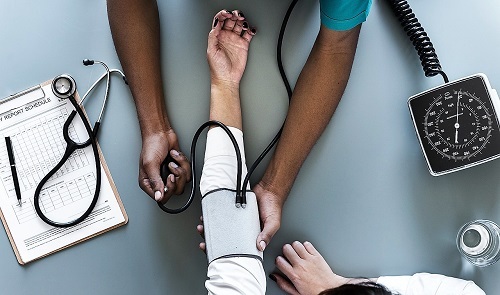 You can connect your Peak Flow meter to your PC and automatically download, graph or chart your readings. If you really want to track your symptoms you should note how they feel each day. This will reveal any symptoms and what potentially triggered them. Once you know what triggers your breathing problems, start recording everything that bothers your breathing in a diary. It will be easier to detect the that thing that that develops symptoms next. Monitoring can be time-involving and tedious, but the end result will show many details that are unique to your situation. And this will help you to better manage your asthma symptoms. The use of a peak flow meter and proper communication with medical professional will improve your management. Asthma products are a great help for anyone with this respiratory problem. It is very hard to live with a breathing condition such as asthma. For those who currently dealing with it, they are always looking for new ways to improve their breathing. Smoking is a nightmare for asthmatics. Their lungs are already damaged and hypersensitive. The addition of this chemical causes the lungs to swell and have more problems. Use air purifiers that get rid of dust and clean your air. 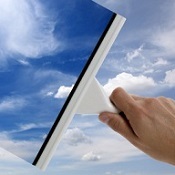 Dust extractors and air filters can be installed to improve air quality. Although some are costly, they are effective in keeping the air clean and reducing the amount of allergens in the environment. The Austin Healthmate is a highly efficient air cleaner that was created specifically for allergy and asthma sufferers. Using High Efficiency Gas Absorption (HEGA) and HEPA filtration, this unit removes particulates and gaseous contaminants such as pollen and dust from the air quickly before they can trigger adult asthma. Many allergens will cling to your clothes when you go outdoors. Remove them as soon as possible. When it comes to occupational hazards, wearing a mask can help reduce the risk. 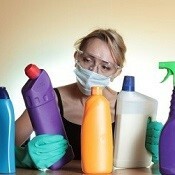 Regular use of chemicals with fumes, like household cleaning products and spray paints, should also be avoided. Again, wearing a mask or alternative products is advisable. You will also want to keep your home closed off from the open air, so don't open the windows in peak counts or drive with the windows down. Your home is full of potential triggers. You can read about the 12 Deadly Triggers Of Asthma to learn more. Place allergy bedding on your bed. Allergy bedding is free from chemicals, dyes, resins, finishes and bleaches. These organic cotton sheet sets are the perfect choice for anyone who suffer from asthma, allergies, or have sensitive skin. Since there are no chemicals, dyes, or finishes, organic cotton sheet sets are a need for anyone with an asthma condition. Allergy bedding guards against dust-mites, mold, mildew, fungus and bacteria that normally lives in our bed. Allergy Free Products to neutralize or eliminate troublesome allergens. They have the most common allergic chemicals removed so they won’t agitate your symptoms. Allersearch ADS Allergy Spray de-activates dust mite, pet dander, pollen, and other allergens. ADS spray is medically proven as highly effective for breaking down these allergens that cause asthma attacks into harmless materials. ADS spray can be used on upholstered furniture, draperies and rugs..
Pet shampoos and topical treatments are available to remove dander and allergens. By removing the problem, you have less of a chance of having an allergic or asthmatic reaction. Although adult asthma must be diagnosed by a medical professional, it is an ongoing process in which you must take responsibility for managing the condition. Many people who suffer from this condition have breathing problems that can interrupt daily activities. And without the right treatment and medication, it can be life threatening. But thankfully, with proper treatment, it can be successfully managed. It is not something which can be cured, but with the right approach can be controlled to the point where is has little impact on quality of life. After you visit your doctor and learn about your condition, you will need to know how to manage it at home. There is no one size fit solution when it comes asthma. But with practice, you can find the right treatment plan for you and control symptoms in any situation. Simple changes can make big differences to the life of an asthma sufferer. Things like switching from chemical-based cleaning products to natural solutions have great effects, and avoiding smoky places also makes a big difference. Asthma is controllable, and with the correct medication and a little due care and attention, people may never need know someone has it. Learn about more asthma remedies that will help you manage symptoms at home. Occupational Asthma: Is Your Job Harmful? Exercise Asthma: Is The Silent Trigger? Many people with asthma find fewer complications when they find a management plan that really works. 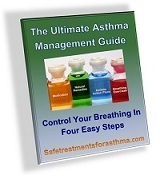 Read The SAFE Asthma Treatment Guide and discover the four steps to controlling asthma. With a little help from your doctor and the right plan of action, you can control your wheezing so that you can breathe easier. And remember … any asthma treatment prescribed by a physician should always be taken as ordered, even if there are no symptoms. Your doctor is the gatekeeper to keeping you healthy. Top Nebulizers Nebulizers deliver asthma medicine and treat your bad symptoms when you need it. Peak Flow Meter Every morning you can track your breathing problems and treatments that work. Allergy Bedding Every night it blocks allergens and reduce breathing problems. 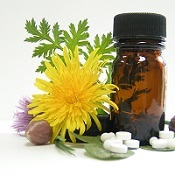 Asthma Herbs Asthma herbs relax the lungs and help to prevent future attacks. Allergy Masks -Protection from the dangerous allergens that trigger asthma attacks. Mold Removal Stop mold before it triggers a bad allergic reaction. © Safe Treatments For Asthma.com 2010. All Rights Reserved. The models in the photos are for illustrative purposes only.